Axis Deer Antler Punches for precision indirect percussion and making notches. 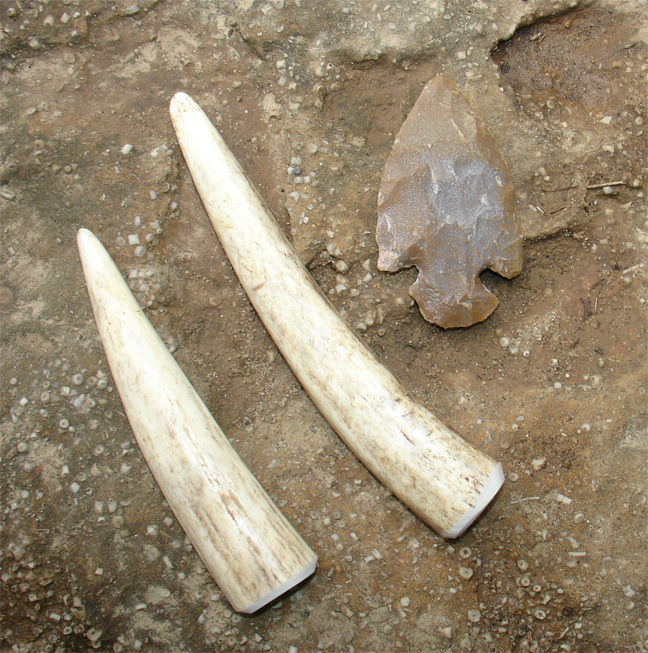 These are generally less than 5 inches long, flattened and beveled at the top, and made of select, dense Axis deer antler tines. Use these to make deep notches or to apply carefully spaced flakes to a blade edge. Suitable for art carving, Axis deer antler tends to be solid all the way through and looks like ivory when polished.